Why is it that corn yields keep climbing to record levels year after year and perennial forage yields improve at a tortoise-like pace? Quite frankly, perhaps the biggest reason is simply that they’re perennials. Nutrient reserves are needed to maintain the plant for the next year and the year after that. Annuals are full throttle for one growing season, and then it’s on to the next season of digesting seed catalogs. There’s also the matter of the forage yield-quality-persistence tradeoff that every forage producer faces whether they’re conventionally harvesting or grazing. We almost always have to give up yield to harvest a product that is high quality. It’s the nature of the beast — one that most grain guys don’t have to concern themselves with. To be sure, forage breeders are providing better performing varieties than was the case 20 years ago. It doesn’t matter if you’re growing alfalfa, orchardgrass, bermudagrass, or clover; the options are more productive and getting better with each passing year. Still, we often see farm forage yields that lag behind those attained in controlled research plots. This doesn’t happen as often for the grain guys. In fact, a lot of them get the same if not better yields than what is being attained in controlled hybrid and variety trials. So what gives? Why is it that on-farm forage yields are often lower than what is expected by both industry and producers even under the best of nutrient and pest management? I have been asked and have contemplated this question for years, and I’ve now come to believe that the problem lies with two factors. The first is very simple: For a lot of folks, great-great-great-great-grandpa decided to park the Conestoga wagon at the wrong spot. Who knows why he liked the rocky, shallow, clayey, poorly drained, sandy, acid, droughty, saline, sodic, or naturally infertile countryside where he decided to stake a land claim? All we know is that many subsequent generations have had to fight that original decision ever since. Getting 10 tons of alfalfa per acre over three to five cuttings on these types of soils is a challenge for the best of forage producers — even with improved genetics. The second factor is one of multiple growing seasons within a single growing season. 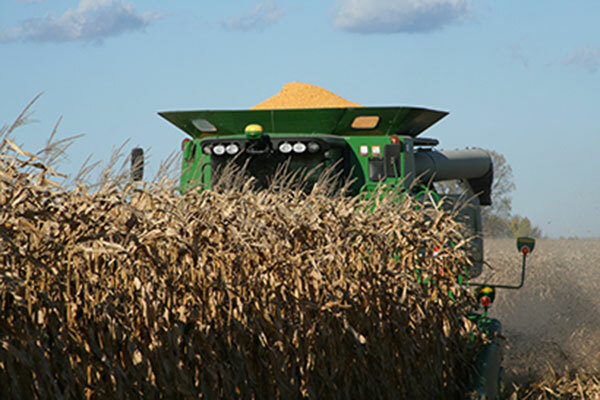 If corn, for example, suffers from a three-week dry spell at some point during the growing season, it usually has time to compensate and produce excellent yields (unless there’s a pollination issue). Perennial forages don’t really have one growing season a year, they have three to six and perhaps more depending on how often the crop is cut or grazed. Three weeks of dry weather (without irrigation) at any point has devastating yield ramifications on at least one, but probably two harvests depending on when the dryness initiates. There is no time to compensate, and in the end total-season yield suffers greatly. I saw this happen many times when I was involved in measuring actual on-farm alfalfa yields over a period of seven years in Wisconsin. If forage yields are to improve under conditions that are less than ideal, the breeding focus has to be on the plant’s ability to withstand stresses brought on by ancestors and Mother Nature. This is how gains have largely been made in corn yield improvement, and I’m confident it will be the same for perennial forages. Maybe it will be transgenic traits, maybe conventional, but there are a lot of smart people who are currently working on a variety of stress tolerance issues, including drought and low soil pH.